Vertical rim flares slightly outward, has rounded exterior face, slightly convex interior face, and somewhat sharp lip; distinct tooling below almost undercuts rim. Convex upper body. Handle is oval in section and attaches to rim. Cf. KTH0673?, KTH1246?. NePcf. Granular fabric is inconsistently fired to grey core to reddish-brown towards surface and reddish-brown; frequent medium light angular inclusions and other tiny bits. Interior surface is brown; exterior is brown with grey patches. Light brush marks on interior and exterior. 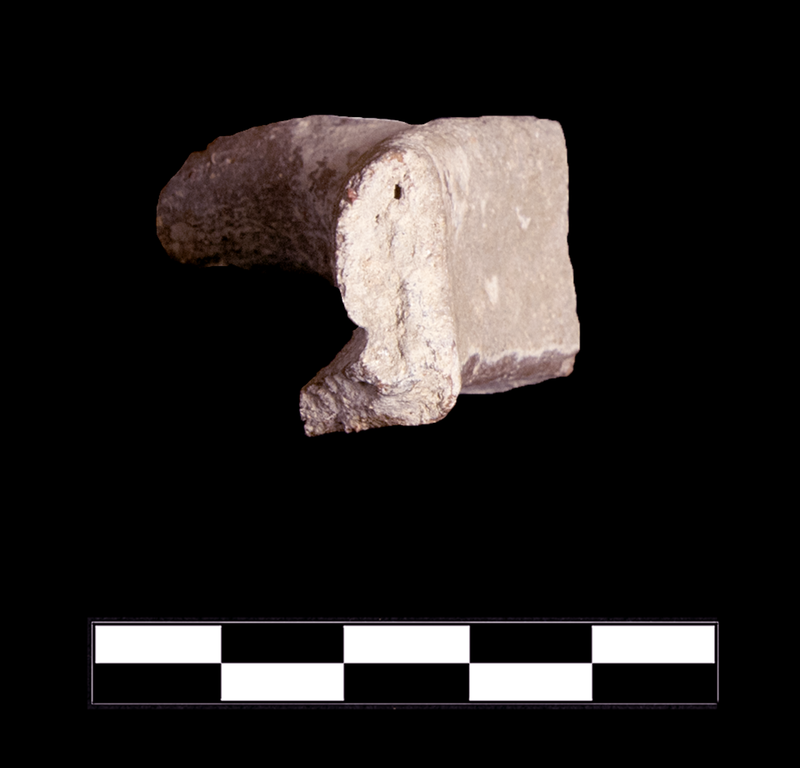 One sherd preserves <1/6 of rim, upper part of one handle, and very small part of upper body. Slight chipping and abrasion around edges; thin patches of encurstation on all surfaces.